Kasauli is tourist place ,nice pollution free environment to live independent cottage and villa flat ,apartment are available for purchase non Himachali persons can buy the property as cottage, villa, flat, but not agriculture land. Sandwoods company have delivered projects in Zirakpur where the people are living happily with there families. Sandwoods Opulencia has a good location advantage with NH 21 on road and best rate in real estate. Kharar city is now a developed upcoming city. All housing development companies are coming to build flats in Kharar and several big malls are there. 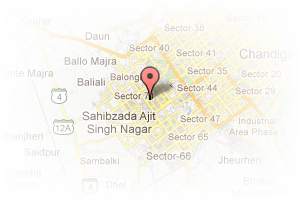 Address: sco 1 sector 115 mohali, SAS Nagar, Mohali, Chandigarh, India. 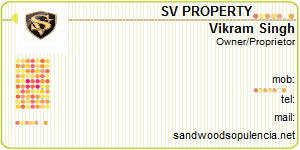 This Broker Profile page for "SV PROPERTY" has been created by PropertyWala.com. "SV PROPERTY" is not endorsed by or affiliated with PropertyWala.com. For questions regarding Broker Profiles on PropertyWala.com please contact us.